Around June last year, I saw a friend's pet hedgehog on instagram and wanted to have one. So fast forward to December 2014 when Mr. Pai Houdini was delivered to me. He was already big when I got him because I told the breeder that I might not be able to take care of it well while its still young. Hedgehogs are nocturnal creatures and they sleep a lot. A LOT. So the colder the weather, the more they will hibernate. Hmmmm, I must be a hedgehog in my former life. Haha. I chose an albino hedgehog versus a tri-colored one. I find the red eyes of the albino, wicked! 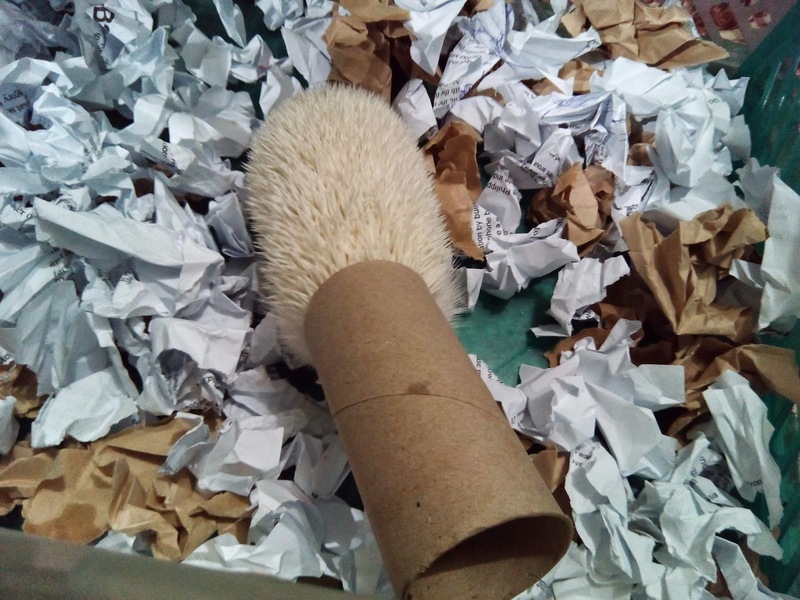 The breeder advised me to get a box and fill it up with wood shavings for his "home" but I decided to put crumpled paper instead. Paper won't attract mites than wood shavings. As for food, I was told that this particular hedgehog favors cat food. Alas, after some consultation with another friend (a cat-lover), she mentioned that cat food the breeder suggested (the canned version) are already banned in the US for having not healthy ingredients. O---kay. What to feed Mr. Pai Houdini becomes quite a challenge. We enjoyed playing with Mr. Pai Houdini. His name, Pai, means "white" in Mandarin and Houdini because hedgehogs are branded as an escape artist. It was quite fun to watch him try to fit inside the toilet paper roll. And because he was still getting acquainted with us that time and is not familiar with our smell and voices, he doesn't like it when we try to touch him. He will turn himself into a ball of spikes. Do not touch me, human! We still have a lot to learn about Mr. Pai Houdini a.k.a. 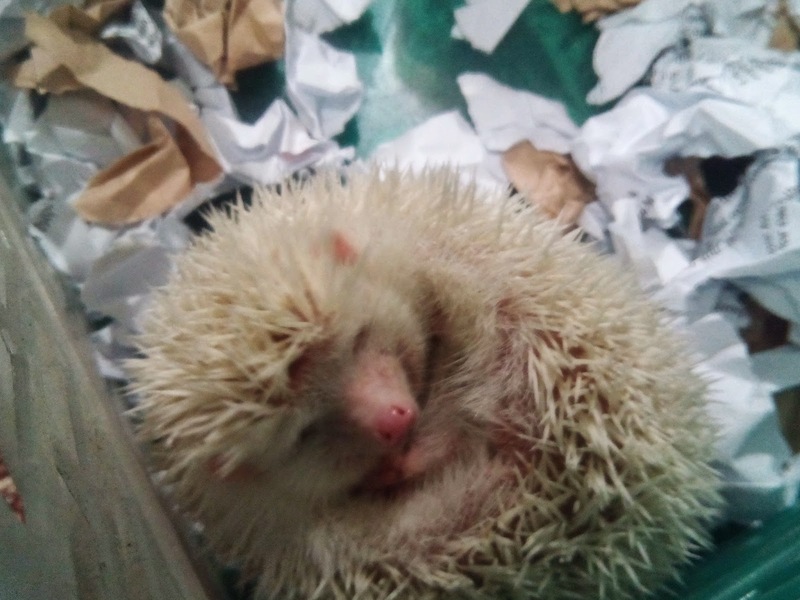 The Hedgehog but its a nice experience to have an interesting pet. Stay tuned for more stories about Mr. Pai Houdini. Hedgehogs are so cute! I think only few in the PH have it as their pets. That's the thing that entered my mind, too. Sonic the Hedgehog. Haha! I just have one question: Masakit yung spikes when you touch them? This is embarrassing, but I've never seen a hedgehog live before! I'm a little bit scared that they might be 'pokey'. They look adorable though! 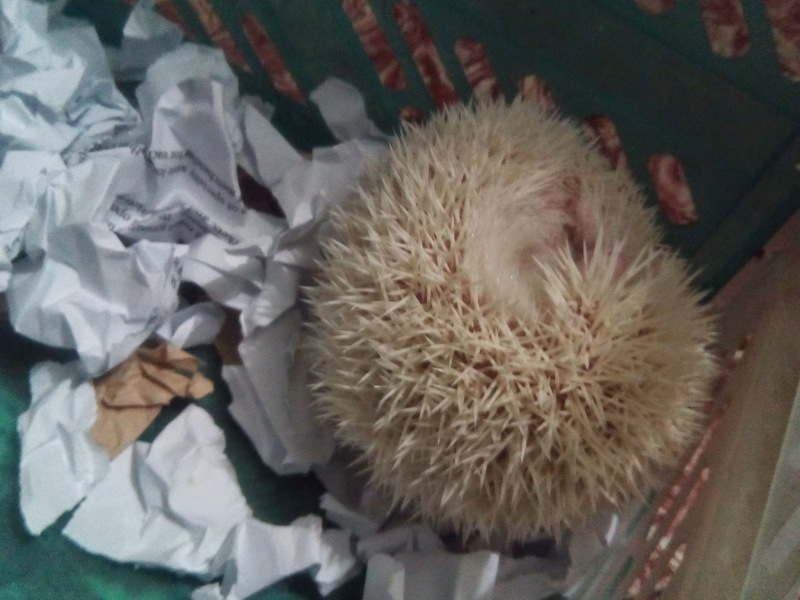 I did not know that hedgehog can be a pet too, alam ko nga masakit ang spikes nila. Ako din, now ko lang nalaman na pwede pala sya maging pet :) Ang cute pag nagiging ball like sya, surely magiging ok na siya sa inyo.